It was the last game of the season. The Saints were playing the lowly Lions and were expected to win. 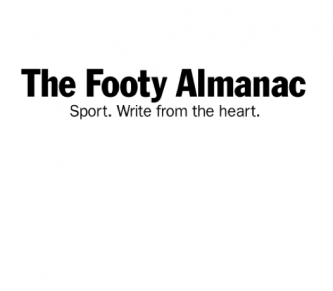 Nick Riewoldt has spent most of the season playing up the ground to make space for the three-pronged big forwards, Paddy McCartin, Josh Bruce and Tim Membrey. Even though Paddy has a penchant for getting injured the Saints have usually left Saint Nick in a ruck rover capacity around the ground. With this the last game of the season it was decided to play him up forward. Not that playing up forward gives him a rest; he works harder off the ball than most, if not any, tall men in the game. Well, Nick had one of those games where even his team mates were in awe. He may have been a bit bored in the first quarter and put out by the umpires after he had pushed a Lion who been trying to knock off Jack Steven’s halo and paying a free kick as Tim Membrey was lining up for a shot at goal. Saint Nick ended up taking 21 marks and kicking 9 goals. He booted 3 in the second quarter, 2 in the third and 4 in the last. He missed with a shot late in the game from the boundary line for what would have been his tenth. Most of his marks were uncontested. He was a mixture of too quick and too smart for his opponents. Some of his marks/goals resulted from great play up the ground, especially from Dylan Roberton and Blake Acres. The game was notable for two other reasons. David Armitage turned out for his 150th game for the Saints. He had a good game kicking the last goal of the match after Blake Acres passed the ball backwards to him to round off the season. He has been a great servant for the Saints. Brandon White played his first match in the back half. He did some nice things and dobbed his first goal from on the 50. He has a nice left foot and can kick the ball a mile. He looks like a find and is the third new player to turn out for the Saints this year, following Jade Gresham and Lewis Pierce. The game started with the Lions running all over the Saints. They had the first two goals and could have had a third except for it hitting the post. From then on the Saints took over and dominated most of the play. Despite this it was a game which had its odd moments. There were a large number of kicking out of bounds on the full and a small flurry of 50 metre penalties, one to the Saints followed by one to the Lions and a double 50 to Sam Gilbert which enabled him to kick truly. For reasons which are unclear Jarryn Geary found himself crumbing a ball in the forward goal square and grinning from ear to ear as he booted it through. Jack Lonie, possibly the second smallest player in the league felt the need to push and shove taller and bigger Lions’ defenders. Maybe he needs this to get himself going; he had one of his better games, kicking three goals. The Saints kicked their biggest score for the season, with 25 goals. They were heading towards a huge victory before the Lions pulled four back late in the game for the Saints to win by 10 goals. It was an all round team performance, with the qualification that Nick Riewoldt looked as good as he ever has with a standout performance. The Saints ended up winning twelve games for the season, eight in the second half, and missed out on qualifying for the finals on percentage. A year of improvement with favourable portents for the future. St. Kilda: Riewoldt 9, Lonie 3, Bruce 3, Membrey 2, Wright 2, Newnes, Steven, Gilbert, White, Geary, Armitage. Brisbane Lions: Walker 3, Dawson 2, Mathieson 2, Rockliff 2, Zorko, Rich, Hanley, Merrett, Keays, Bell. St. Kilda: Riewoldt, Roberton, Steven, Armitage, Acres. Brisbane Lions: Rockliff, Zorko, Cutler, Walker, Martin. 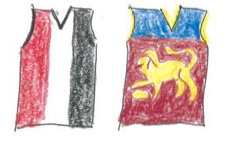 Our Votes: Riewoldt 3 (St. Kilda), Roberton 2 (St. Kilda), Steven 1 (St. Kilda). What a massive match, Breham! Nick showed his efforts and passionate as well as his skills still going. I just can’t believe he is 33 to break his records for marks and to tie his record of goals. The mighty Saints will just keep playing attacking footy and will have an exciting September in 2017.